If you are looking for a great starter dish with a few simple ingredients, you are in the right place. In fact, this fish-shaped tuna and potato mash is an easy recipe that requires no cooking. You can even prepare it a few days in advance as it stays perfectly in the fridge covered with cling film. This potato and tuna mousse starter is made with mashed potatoes, creamy tuna pate and a blend of Mediterranean spices. 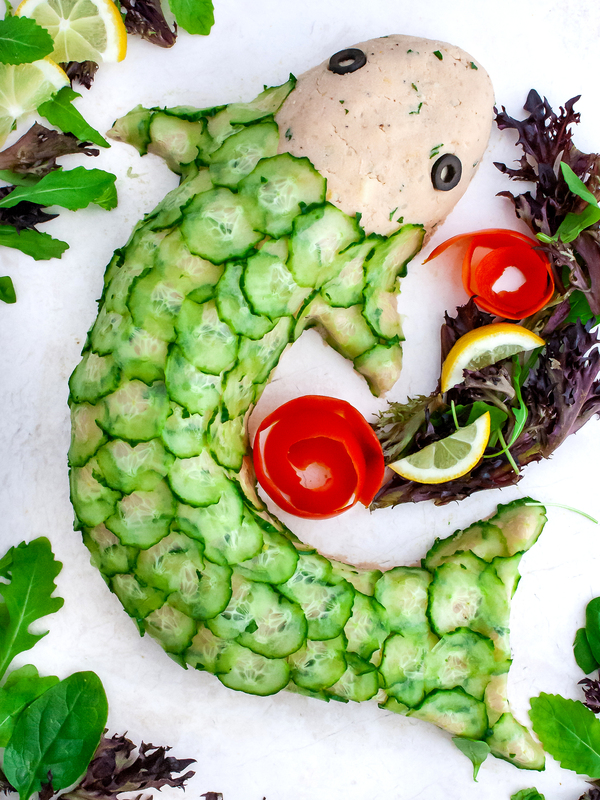 The mash is then molded into a fish shape and decorated with fresh cucumber. 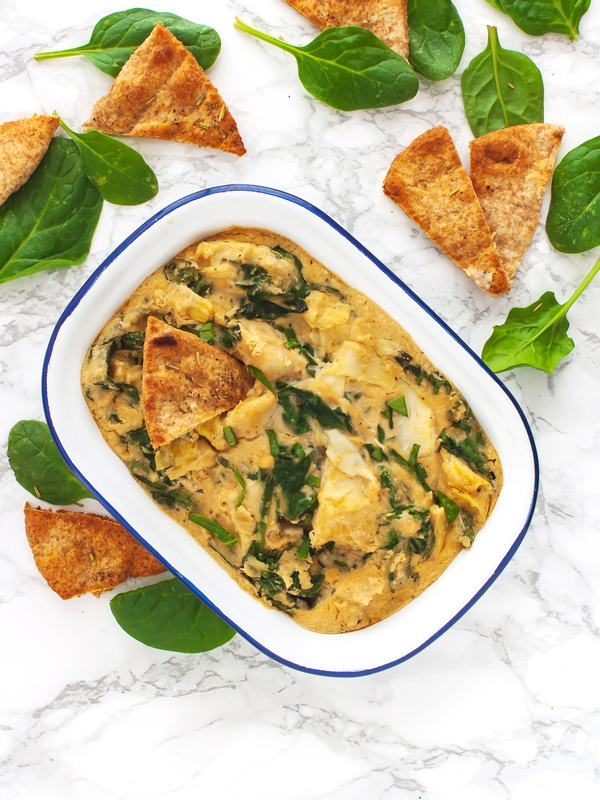 It’s a stylish and smart dish perfect to serve at a party or on festive occasions. All your guests will be impressed ! 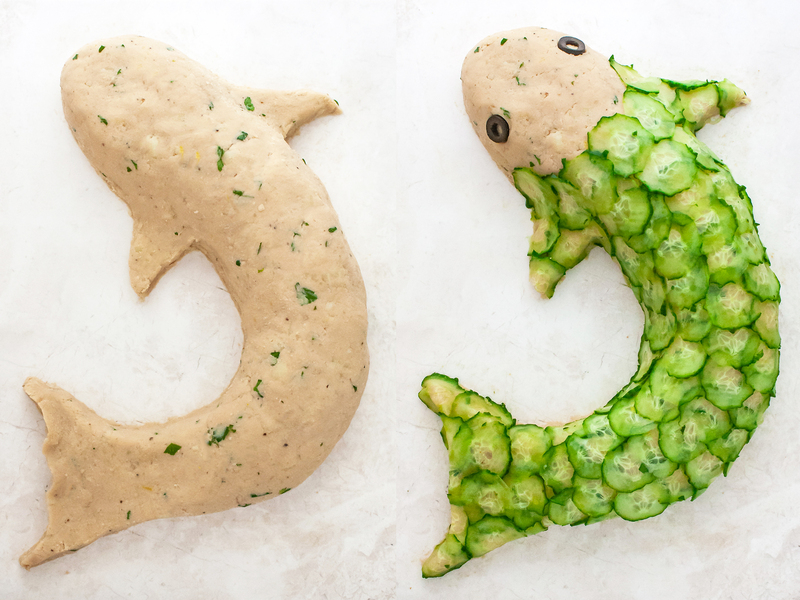 Find your favorite fish shape and have fun carving the tuna and potato pate. We opted for an elegant Japanese Koi Carp. Then, use vegetables to decorate it and create amazing patterns. Slices of pickles, olives, carrots, cucumber, and potato are all great choices. As this recipe uses few ingredients, it’s essential you have the right ones. In fact, the choice of tuna is crucial to make a creamy tuna pate. We recommend using canned tuna in extra virgin olive oil as the oil gives a unique and rich flavor to the dish and it helps to make a soft and velvety mash. 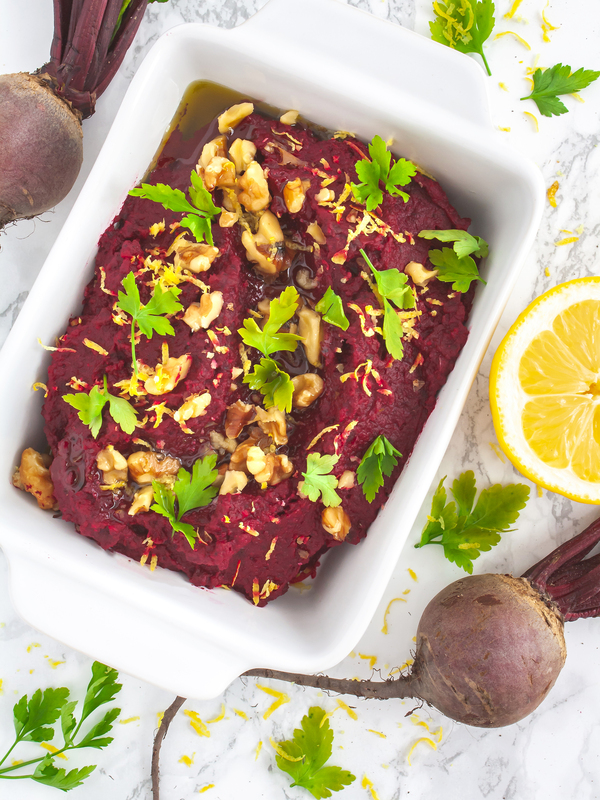 Many tuna mousse recipes are prepared with mayonnaise but we wanted to propose a healthier version of this dish so you can enjoy the rest of your meal ❤️. Especially if you are preparing it for the festivities like Christmas! 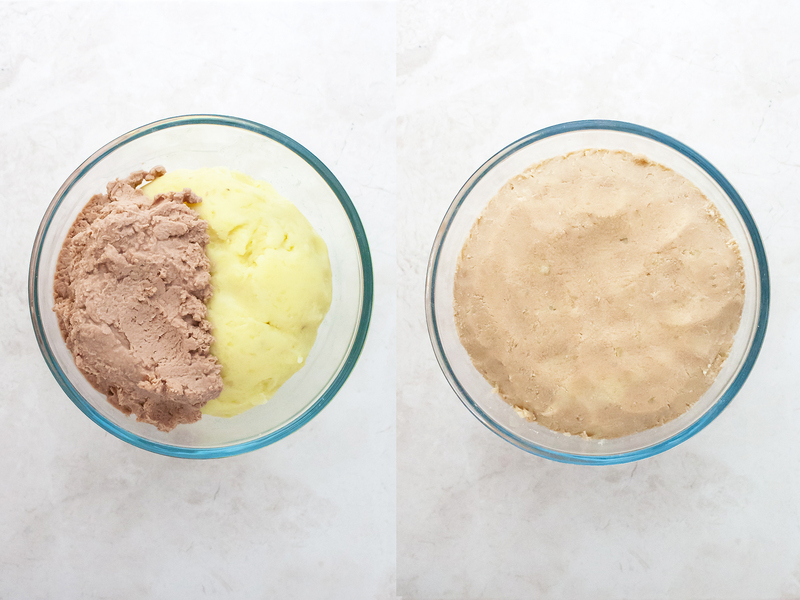 As there is no mayo, the texture is slightly denser and drier than the original but thanks to extra virgin olive oil you will still get a delicious creamy tuna and potato mash. Bring water to a boil in a large pot with salt. Add the potatoes and boil with the lid on for 15 minutes. Check they are soft inside by poking them with a fork and then drain. 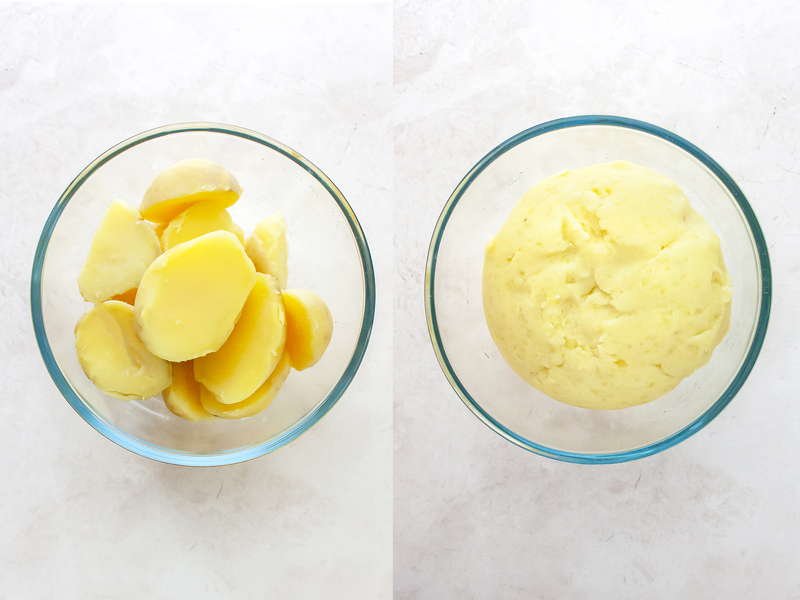 Mash with a fork or with a potato masher until you get a smooth and soft mash. Drain the tuna from the can but make sure you don&apos;t lose too much oil as it helps to make the mash soft and creamy. 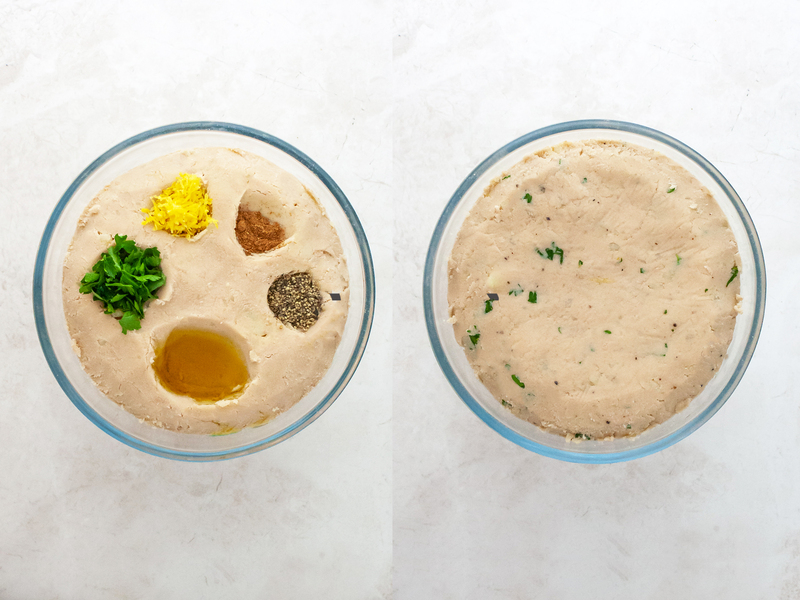 Blitz the tuna in a food processor until you get a smooth pate. Add tuna to the mashed potatoes and combine until you have a uniform mixture. Add fresh chopped parsley, the zest of the lemon, black pepper, and extra virgin olive oil. Incorporate the herbs and spices to the tuna and potato mash mixing with a spoon or kneading with your hands. At this point, taste the mash to be sure it is seasoned according to your tastes as you won&apos;t be able to do this later. Check that the mixture is soft and creamy but also firm enough to allow shaping the fish and, if needed, add more olive oil. Transfer the tuna and potato mash to a serving dish and use your hands to mold a fish shape. Wash and slice the cucumber into thin chips, about 2 mm thick, and arrange them according to the fish scale pattern. Finally, use two sliced black olives as eyes. Your delicious fake-fish is ready! 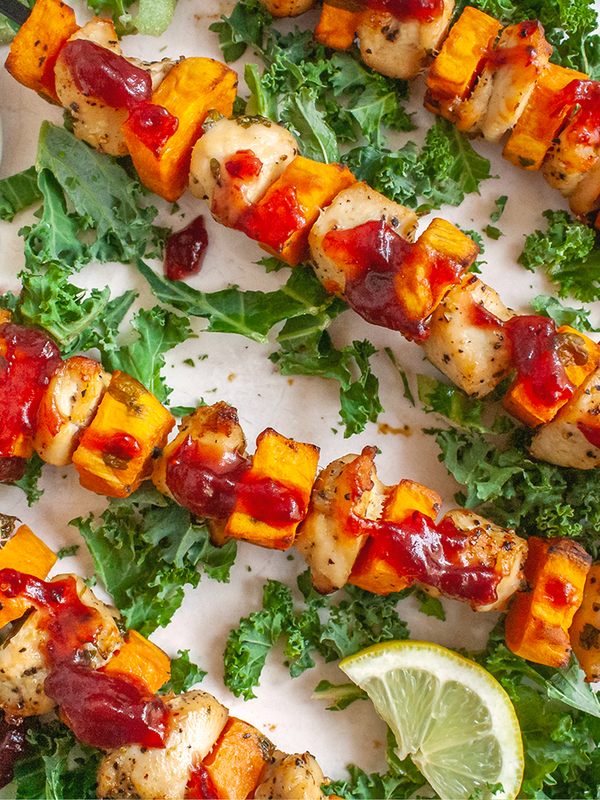 Enjoy it with toasted bread slices and a dip of lemon, parsley, and oil. We recommend using tuna in extra virgin olive oil but the one in sunflower oil is good as well. If you use tuna in brine or in spring water you need to add more liquid to the mash. For example a drizzle of olive oil or a spoon of mayonnaise until it reaches a creamy consistency.